It is why we have a yin / yang symbol on our logo. The yin / yang is two halves that, together, complete wholeness. If a person is whole, this means they are complete, so there is no need for change. But how many of us are complete in life? I do not think I am being controversial if I say “nobody”. 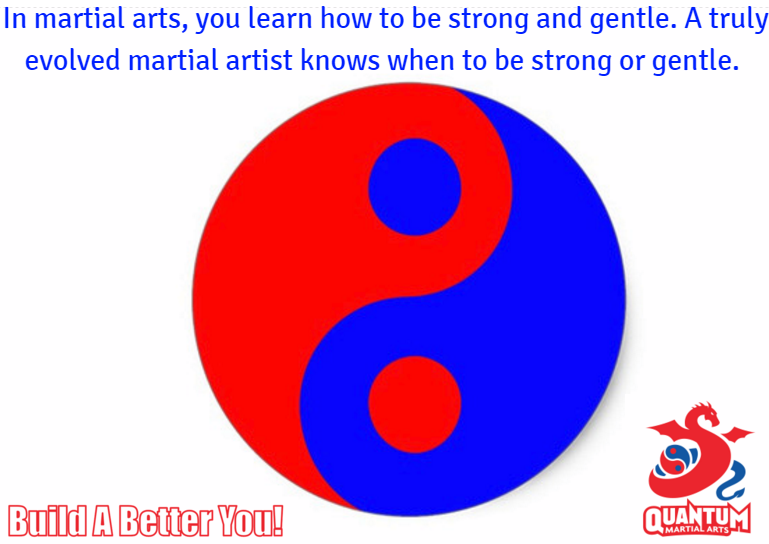 Therefore, yin and yang is the starting point of change, which is an important part of your martial arts journey. By learning about yourself…physically, mentally and spiritually…via martial arts, this starts the two halves of yin and yang chasing each other to seek a new balance with each other. This helps you become the person you want to be, both inside and outside of the dojo. Start this week by practicing to be both strong and gentle. With different situations you encounter, consciously think about what the right solution would be. When you pause for a second, you can then act or react with calmness and awareness. This can help you choose the right response. Happy responding for this week!